A growing body of research suggests Black Americans thrive in the face of racial adversity when provided the resources to challenge oppressive narratives and systems. 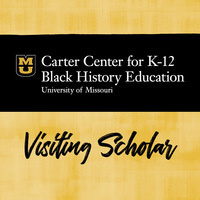 Black history knowledge (BHK) is one such psychological resource that has been identified as challenging and correcting deficit narratives about Black Americans while simultaneously fostering cultural pride. This talk aims to introduce a framework for BHK as a psychological resource and explore BHK in the context of psychosocial outcomes. Implications for research, practice, training, and social justice advocacy will also be examined.